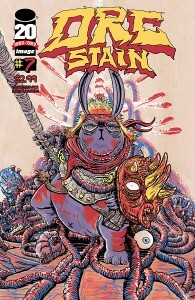 Well, I’ve bought and really enjoyed Brendan Graham’s Prophet, and now I’ve bought and really enjoyed the new issue of Orc Stain, so I guess I’m officially on-board the Graham/ Stokoe Image fantasy comics train. I’m a late adapter, obviously. I’ve never been into fantasy, comics, movies, games, any of it, not even when I was 13, the age these comics are ostensibly aimed at. Are 13 year olds actually reading this stuff? Or is it just people that were 13 at the time Graham and Stokoe were, and remember when this exact flavor was edgy and dangerous? Time will tell I guess, but in terms of me reading and enjoying this right now it doesn’t matter. These comics are good. The thing that’s really stood out for me in the second issue of Prophet and also this comic were the elements of surprise. When the story took a turn so unexpected that it actually surprised me. Not an easy, and especially not a common, feat for genre material such as this, let alone in the non-operatic medium of comics. As for Orc Stain itself, I was really pleased with the amount of story contained within it, especially for an art-centric action comic. At a base level, these comics are really well done from both craft and storytelling perspectives, and comics artists of any aspiration would do well to take notes. For my money, that (and raw, expressive imagination) is the greatest gift genre material of any medium can deliver. 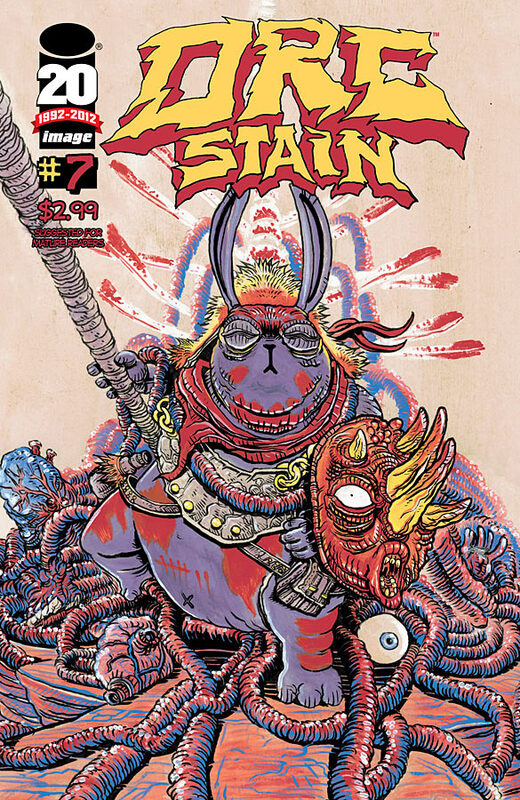 Coaching from the sidelines corner: Although I don’t think it would be in Stokoe’s best interest, Kevin Eastman should be throwing as much money as necessary at him to get Orc Stain published under Heavy Metal.